Aloha friends! I am linking up with my good friends over at Elementary Nest and Flying Into First Grade. 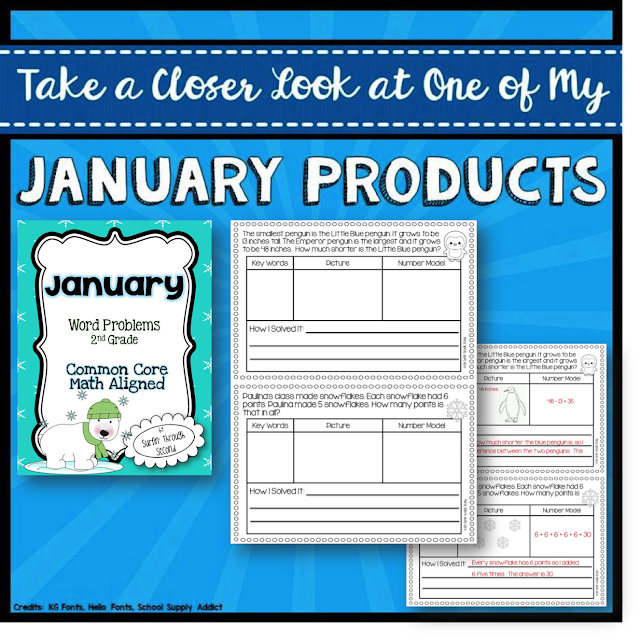 We are sharing some of our favorite resources for January. 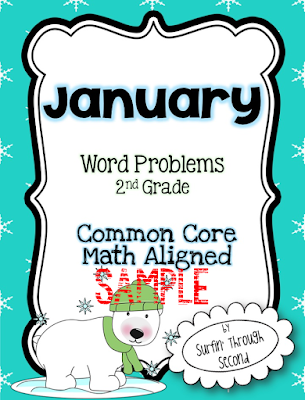 My word problem packs are one of my favorite products. They have a fun winter theme and cover a variety of 2nd grade skills. They also include one and two step word problems. The format also makes it easy for students to process and find the correct answer. If you would like a sample click on the picture below to grab it in Google Docs. If you like what you see you can head over to my TpT shop. They will be on sale for the next few days! what other great products you can grab for January! !